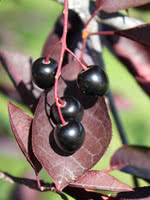 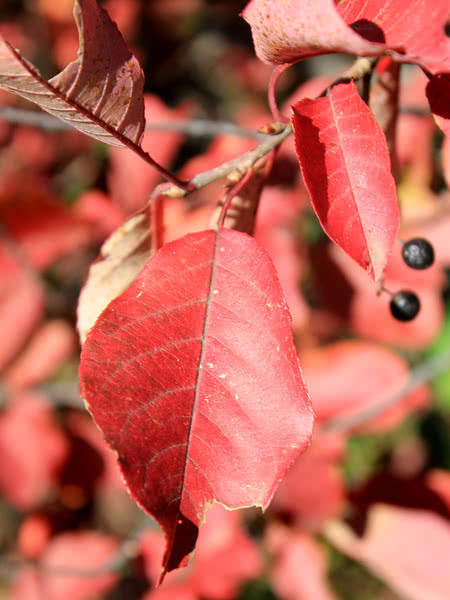 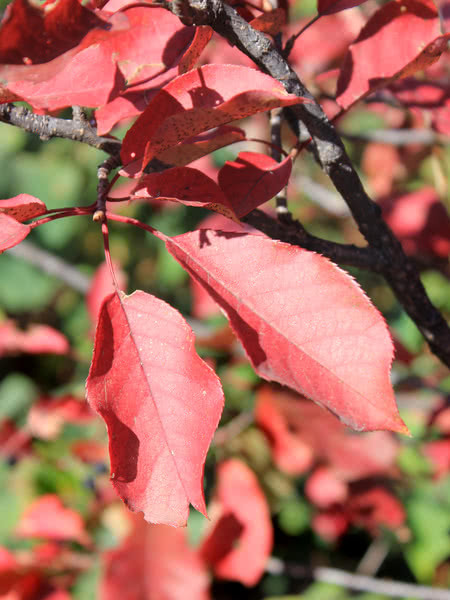 Western Chokecherry is a shrub or small tree commonly used for farmstead and field windbreaks. 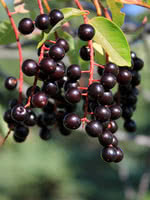 It produces white flowers in the spring and edible dark purple fruit that matures between September and October. 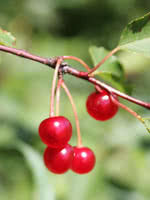 Its cherries are great for making for making jams and jellies (or wine), but are not very palatable for raw eating.